The fact of the matter is. I am responsible for my own actions and outcomes. I can sit around all day and point fingers and play the childish blame game, but the truth always points back to me. What am I doing to change. What am I doing to make the situation better. What part do I play in what ever the situation is. What am I doing to fix the problem so I can move on. It’s easier for me to look at what others are doing or not doing in a situation. 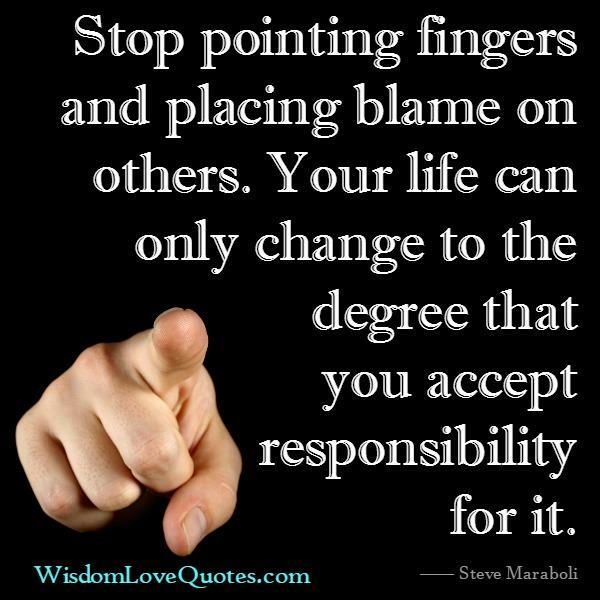 To blame myself and take responsibility is something that I am working on and it’s not easy. I am so used to seeing everyone else as the problem that I fall short on seeing what part I play. 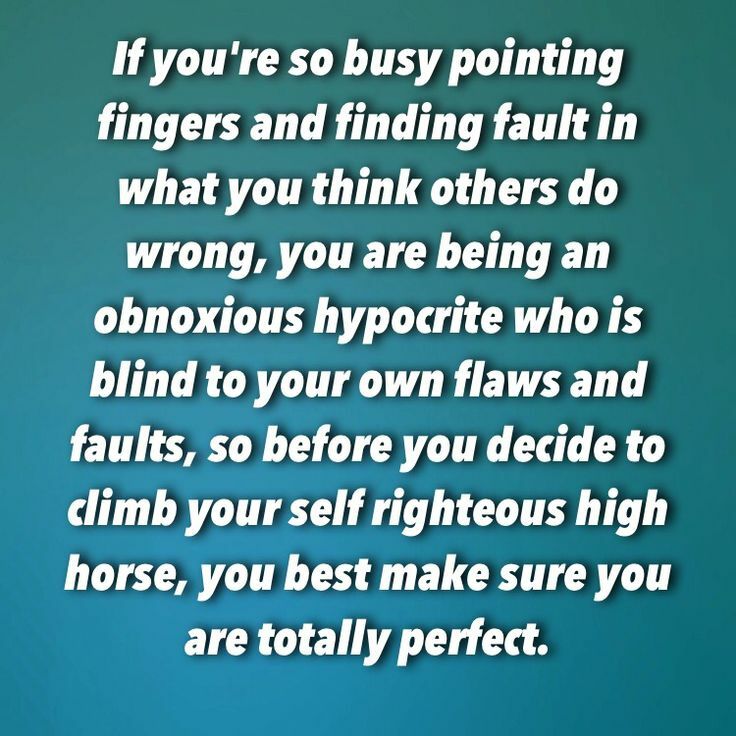 The blame game is something that I have done for years and found that deep inside I still play it. It’s a built in defense mechanism that has worked for me in my active addiction. But the truth is not taking responsibility for my actions helped to keep me sick and suffering. The self centeredness that is always present didn’t allow me to ever think of me being the blame for anything. Unfortunately it is still quite active in certain areas of my life today. It is something that I am aware of and I am working on correcting. Sometimes I can catch myself before it takes hold and other times I have to take a deeper look to spot it. Either way I am aware of it and I do not allow it to wreak the usual havoc in my life. I have to constantly remind myself that I am not in control of what others think or do. I can only make sure that I am doing what I need to do. Looking outside myself for the source of my discomfort or for others to make decisions or to make a first move or whatever is not being responsible. It is not taking action and it is not conducive to the main goal. It is not healthy and will only cause me to become bitter, resentful and disappointed because I set myself up to be let down due to certain expectations. So my goal is to ask myself everyday if I did my best for that day. Did I go the extra mile. Did I do something different or difficult today. Am I taking responsibility for my actions today. Did I blame you for something that I am responsible for. Did anything change in my actions or responses today? I will focus on keeping my own backyard clean and let others take care of theirs. ← LONG LOST BUT NOT FORGOTTEN FAMILY.